Everything we know about the Nintendo Switch | PowerUp! Last night, Nintendo finally pulled the curtain back on the Nintendo NX, revealing it will be a hybrid handheld/home console named Nintendo Switch. The Switch can be used like a regular console, plugged into the TV, but if you get the urge to go for a walk, you can simply pull the console out of the dock and transition it into handheld mode. Meaning you can take whatever game you were playing on your TV with you, wherever you go. The handheld screen displays in HD and attaches to the detachable Joy-Con controllers. 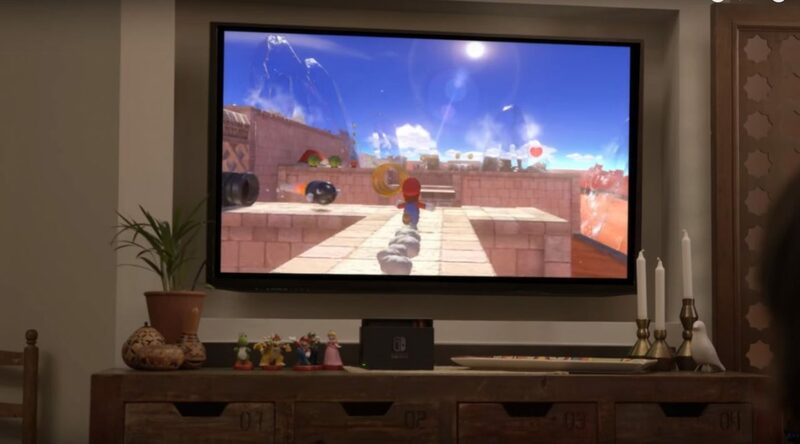 The controllers attach to either side of the Switch, can be used by one player with one Joy-Con in each hand, two players with one Joy-Con each or multiple Joy-Con controllers can be used by multiple players. The detachable Joy-Con controllers also connect to the grip accessory to function like a standard controller. 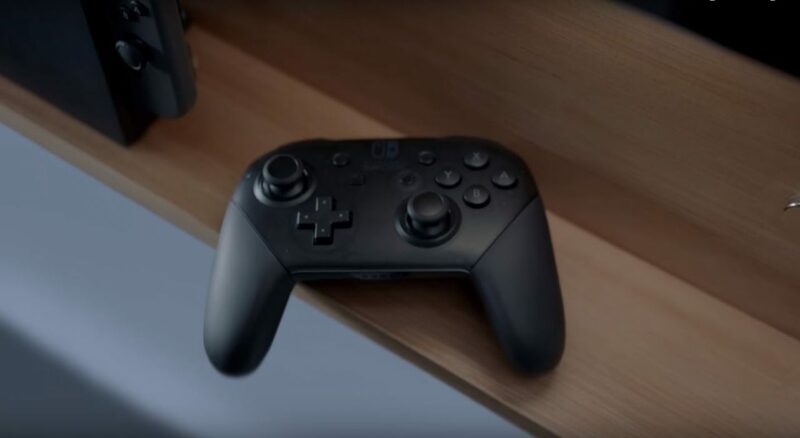 Players can also use the Switch Pro Controller instead. 505 Games Activision Publishing, Inc. ARC SYSTEM WORKS Co.,Ltd. 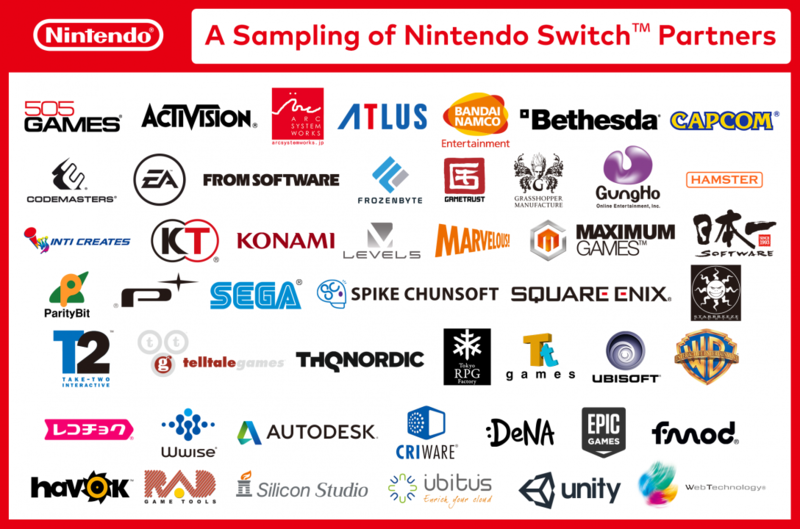 BANDAI NAMCO Entertainment Inc. Bethesda CAPCOM CO., LTD.
Epic Games Inc. Firelight Technologies FromSoftware, Inc.
INTI CREATES CO., LTD. KOEI TECMO GAMES CO., LTD. Konami Digital Entertainment Co., Ltd.
Nippon Ichi Software, Inc. Parity Bit Inc. PlatinumGames Inc.
RAD Game Tools, Inc. RecoChoku Co.,Ltd. SEGA Games Co., Ltd.
Silicon Studio Corporation Spike Chunsoft Co., Ltd. SQUARE ENIX CO., LTD.
UBISOFT Ubitus Inc. Unity Technologies, Inc.
Warner Bros. Interactive Entertainment Web Technology Corp. 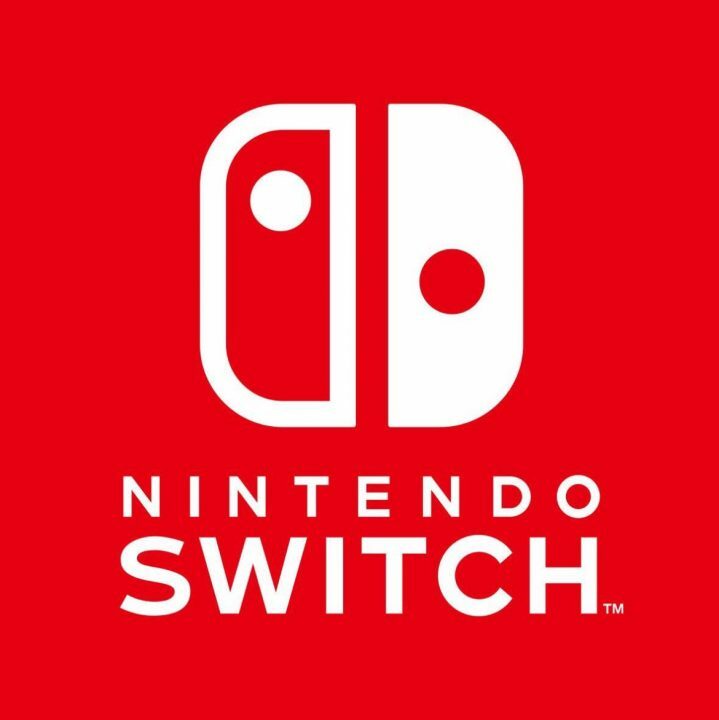 While we are not confirming any specific titles at this time, we are pleased to announce our partnership with Nintendo and support of Nintendo Switch. Blizzard also seems to be hinting that it’s popular card game Hearthstone may be coming to Switch after tweeting the following. 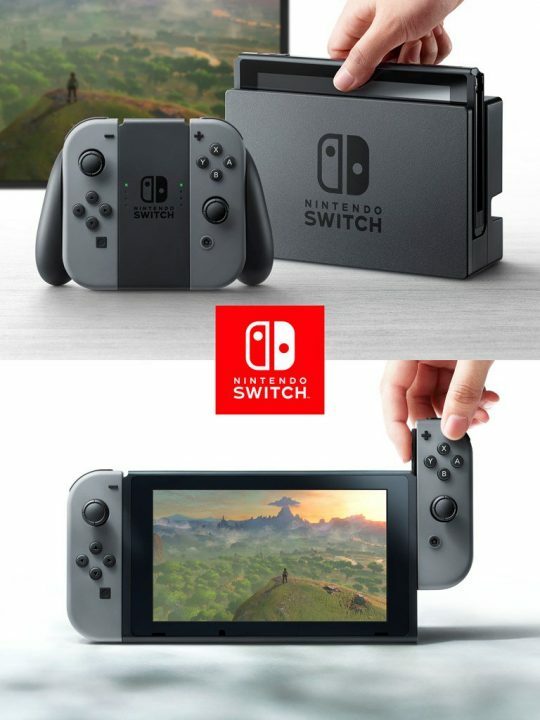 NVIDIA confirmed that the Switch is powered by a “custom Tegra processor.” Created from “500 man-years of effort across every facet of creating a new gaming platform: algorithms, computer architecture, system design, system software, APIs, game engines and peripherals.”The GPU in the Swtich’s processor uses the same architecture as top of the line GeForce graphics cards and includes upgraded physics, new libraries and new, advanced tools. Finally, Switch will use a cartridge based system, rather than discs. We’ll bring you more information on Switch as we have it.